Delicious food is easy to find in every corner of Virginia Beach. From diverse cuisine from around the world to fresh, local ingredients, you can have anything your belly desires here, including plant-based food that would make even an avid meat-eater smile. With several unbeatable options to choose from, here are some of our favorite places for vegan and vegetarian fare that will have you coming back for more. With a name meaning “to give generously,” in Hawaiian, Kahiau’s delivers everything you could want from a vegan restaurant and bakery. 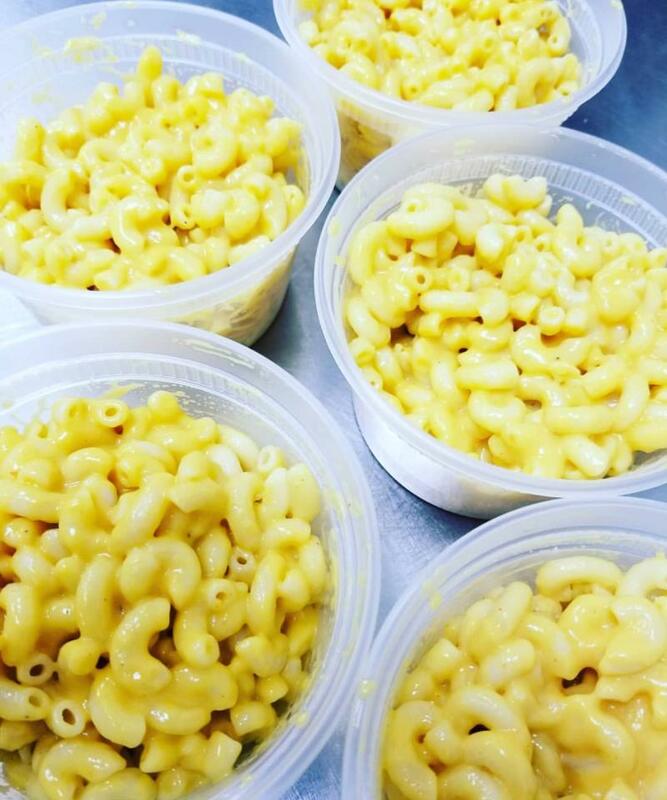 With sweet treats like jaw-dropping wedding cakes that come in flavors like avocado, strawberry guava, and Spicy Chai Latte, and creative savory creations like meatless meatball subs and chipotle mac and “cheeze,” this is far from just a bowl of lettuce. Try the Whiskey Barbecue Jackfruit Pizza, for a creative meatless take on pulled pork. 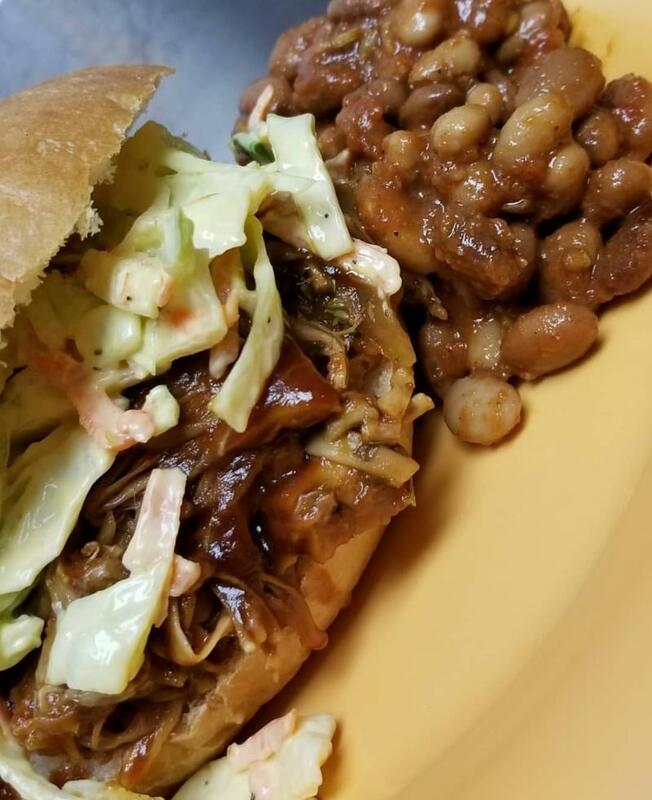 With two types of whiskey, Jack Daniels and Cinnamon Fireball, the tangy sauce and the tender jackfruit will win over vegans and non-vegans alike. My Vegan Sweet Tooth, which is ranked in the top 20 worldwide for vegan restaurants and bakeries, is a must-visit for vegans and non-vegans alike. With scratch-made donuts, cookies, bagels, cupcakes, sandwich bread, whoopie pies and more, the options here are endless and they’re all winners. If you only try one thing though (which, in our opinion, is not enough), make it their award-winning cinnamon buns, which have been named as the area’s best cinnamon rolls, vegan or otherwise. You can even pick-up fresh-baked vegan treats for your pet! The Green Cat Juice Bar is a great stop in the morning to get your day off on the right foot. With a selection of made-to-order juices like Gingerella, with ginger, pineapple, and wheatgrass, and Moon Mylk, with cashews, dates, alkaline water, cinnamon, vanilla, and Himalayan salt, everything here is a health nut’s dream. 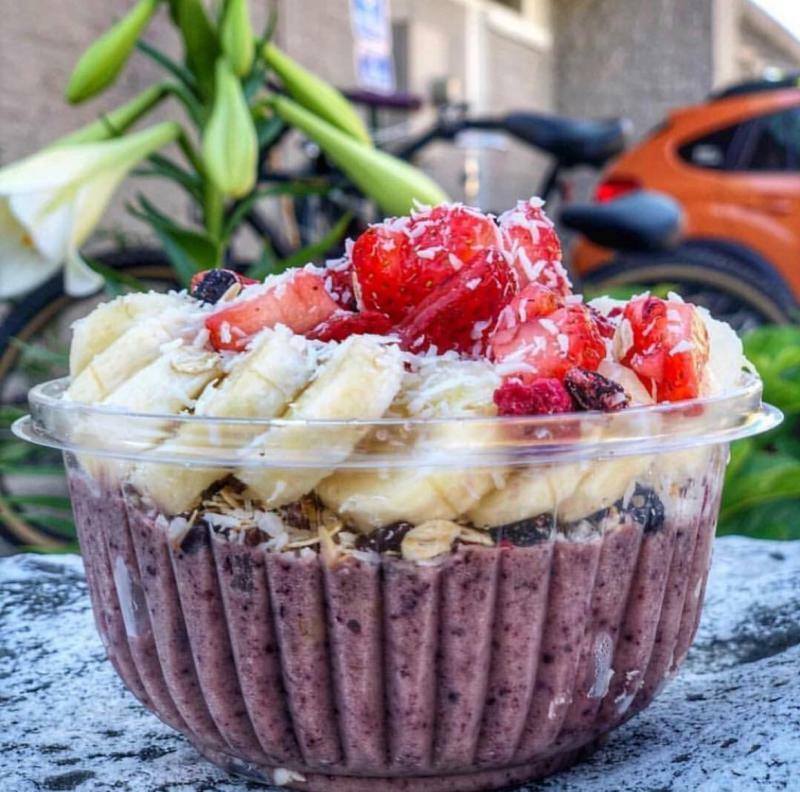 We’d definitely recommend their refreshing smoothie bowls, like the Acai Bowl with acai, blueberries, banana, almond milk, and agave, topped with dried coconut, raw oat, strawberry, banana, cacao nib, and freeze-dried berries. 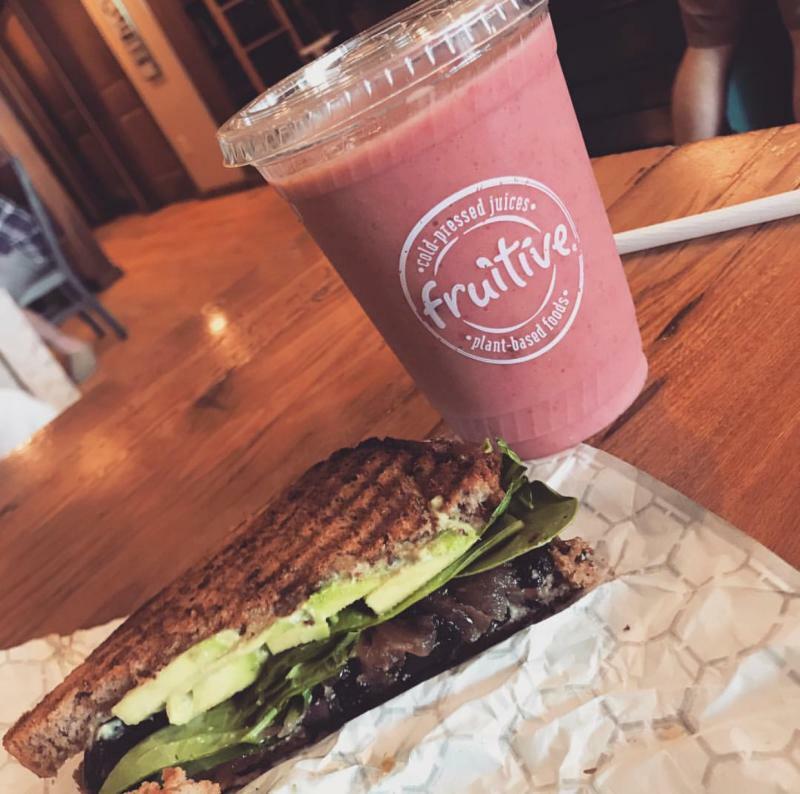 Located just a few miles from the boardwalk, Fruitive makes getting your daily dose of vitamins and minerals as easy as it is delicious. Specializing in all things plant-based and organic, every option on their menu will satisfy even the healthiest of foodies, whether it’s with a post-run Wellness Warrior smoothie or “Liquid Meal,” as they’re called on the menu, or a hearty Avo Portobello Panini for lunch. For a little breakfast and coffee rolled into one, try a Coffee Date “Liquid Meal” from Fruitive, also at Hilltop. Fruitive blends cold brew coffee with Brazil nut milk, banana, peanut butter, raw cacao powder and maple syrup for a healthy start that will fill you up and give you the energy you need to take on the day.